It’s no secret I’m cheap. Sometimes it’s beneficial. Sometimes it’s not. This is one of the situations where it has been extremely beneficial to our family. There were a bunch of us talking on twitter one night about making laundry detergent. I tried a recipe for the dry stuff, but my front loader didn’t like it so much. So I switched to liquid. It’s made such a big difference in our clothes. That, combined with the stain remover I’ve started making at home, kept M’s clothes the cleanest of any of the people who worked with him at the coffee shop when he was working there. 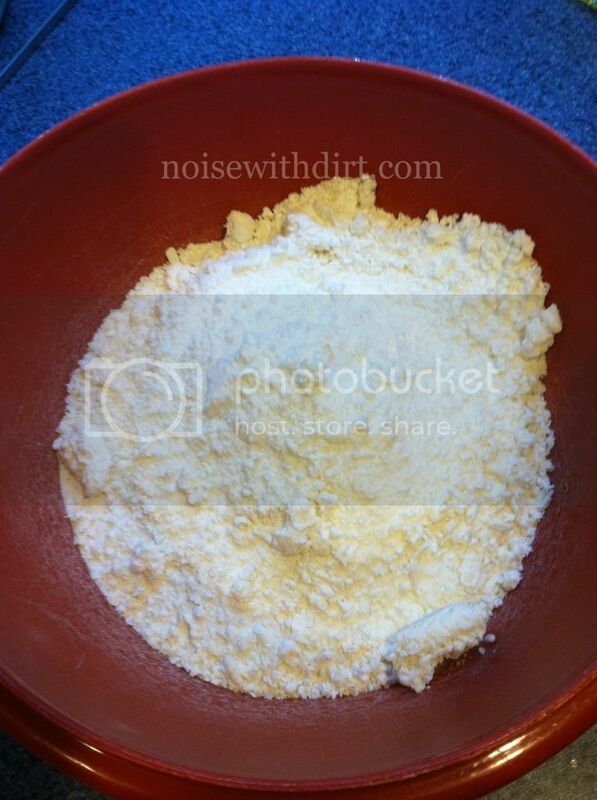 Grate the soap and mix it with one gallon of water. Bring that to a boil and stir in the washing soda and borax. 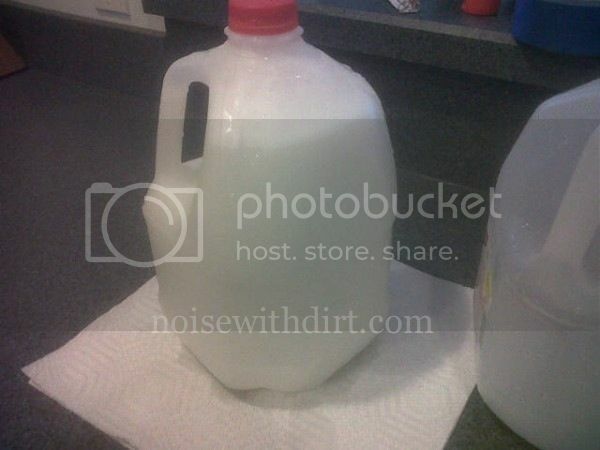 Add another gallon of water, and pour into the containers. A funnel really helps, but it isn’t always necessary. When I made this batch, I decided to throw caution to the wind [read: I was lazy] and I mixed all of the dry ingredients together before pouring them in the pot with the first gallon of water. Then the kids started screaming for some reason, and I failed to take any other pictures. I know, bad blogger. It tends to separate, so I just give it a good shake before I pour it into the machine. It really does work, and it’s saved us so much money in the past few months. I haven’t bothered to keep track of how much each recipe costs us, because we actually haven’t bought the soap M uses in a while [we get it in bulk from Costco], but I know the borax and washing soda were around $3 a box and I’ve only used three cups of each in the last few months. I also don’t measure it before I pour it into the dispenser. For me, it depends on how dirty the clothes are. I hope if you try it, it works as well for you as it has for me.